Bonfire, the industrial-style burger restaurant in the Barbican, are putting a brutalist spin on Valentine’s Day this year, hosting an Anti-Valentines celebration on 14th February. There will be a minimalist, deep house DJ set and a gluttonous menu of burgers, chicken wings, dirty chips and cocktails instead. The perfect place for groups of friends, their anti-Valentines day offer is an antidote to overpriced set menus and cheesy gestures. 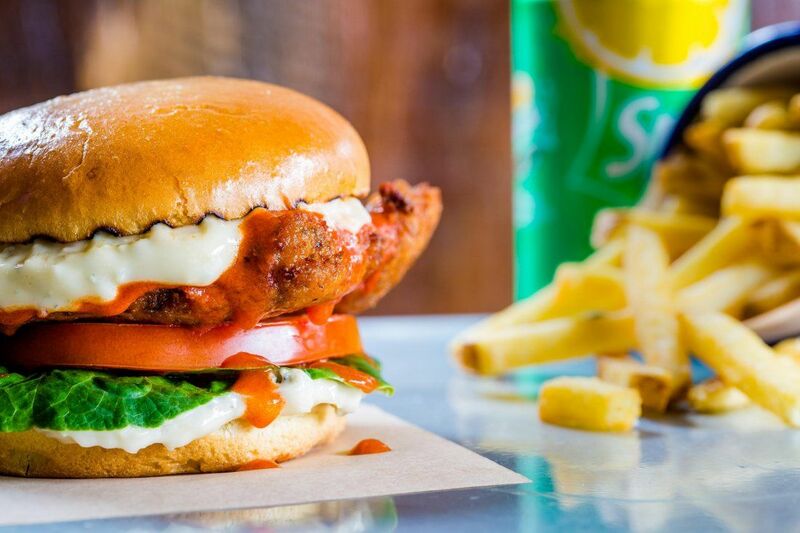 Guests who mention the code “Who Loves Valentines” will be able to receive 50% off cocktails, beer and house when ordering a burger and side, with a maximum of three drinks per person. The offer will be valid for the entire day, so they recommend booking a table at Bonfire or arriving early to secure the space. The DJ set will last from 5-9pm. The deal cannot be used in conjunction with any other offer.